Sorry, no review of RIDING HERO yet. Every split second counts in this intense game! Tear through the circuit on your motorcycle! 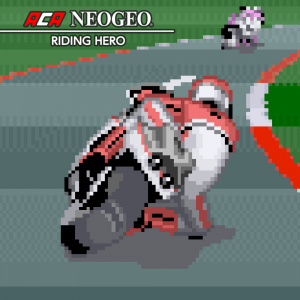 "RIDING HERO" is a realistic racing game released in 1990 by SNK. WGP (World Grand Prix) mode is where you can compete against top riders of the world. Story mode puts you in the shoes of a young street racer aiming to challenge an eight-hour endurance race and comes packed with RPG elements. Experience realistic motorcycle action that will keep you at the edge of your seat. Guess this will do until Motogp 18 comes along!